Still love the 1911. In fact, this one particular handgun is probably my favorite pistol in the world. I brings joy and comfort to me when I just look at it… Warm fuzzies when I hold it… Bliss when I shoot it. As is… no modifications. Just Use and Care and a bit of some Slipstream. It runs very well when I use good magazines and shoot Ball ammo. As much as I am fond of this gun… I do not consider it to be one of my Fighting Guns. One of the guns that would be used should there be an unwanted/unexpected bump in the night. I was issued a gun exactly like this one… it said Colt on it though. But the feel, the weight, the wear marks… Fond memories of a time when I was lighter, faster, and younger. But I’m wiser, and better looking now. 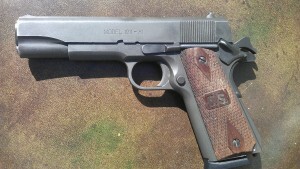 I still respect the 1911 and it’s History. It still has a place in my heart, and it always will. When I was on the ground and someone was aiming a weapon at me… it was a 1911 in my hand that stopped what could have come next. While the 1911 was an epoch moment in handgunning, my chosen handgun is the second epoch… The Glock. 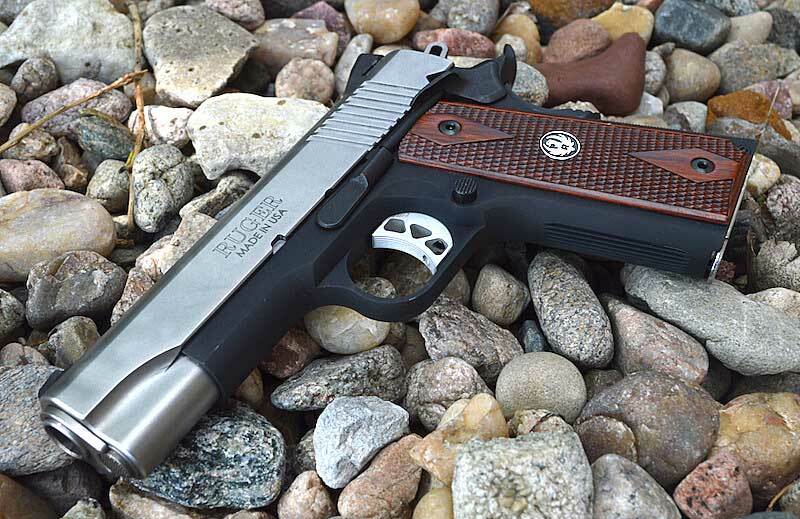 It’s an evolutionary leap, as was the 1911 when it was adopted by the US Army. I very much look forward to the next leap forward. The other day I was shooting with The Fellas, and my buddy gave me a loaded magazine and an empty pistol. The XD Tactical in .45. 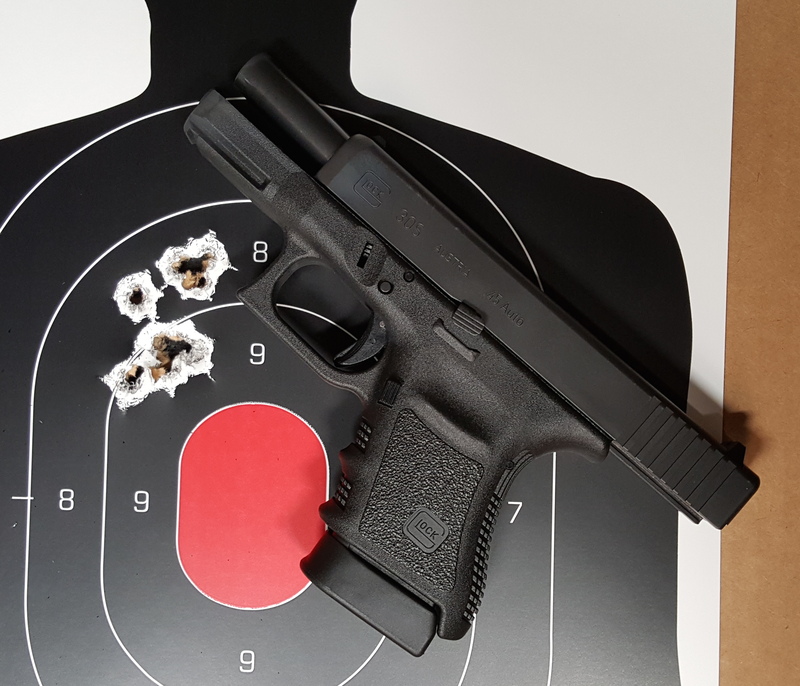 He had stippled the gun the same way I did my Glock… and I have to say that it really improved the feel. I also have to say that the pistol shot extremely well and was uncannily accurate. This was the old XD model, not a newer M class. But in the .45 guns, there’s not a lot of difference. Same Mags, same cold hammer forged barrels… the M triggers are nicer, and of course, the outside cosmetics. But I don’t like the way the M’s feel slippery in my hands. Some texturing work fixes that real easy. 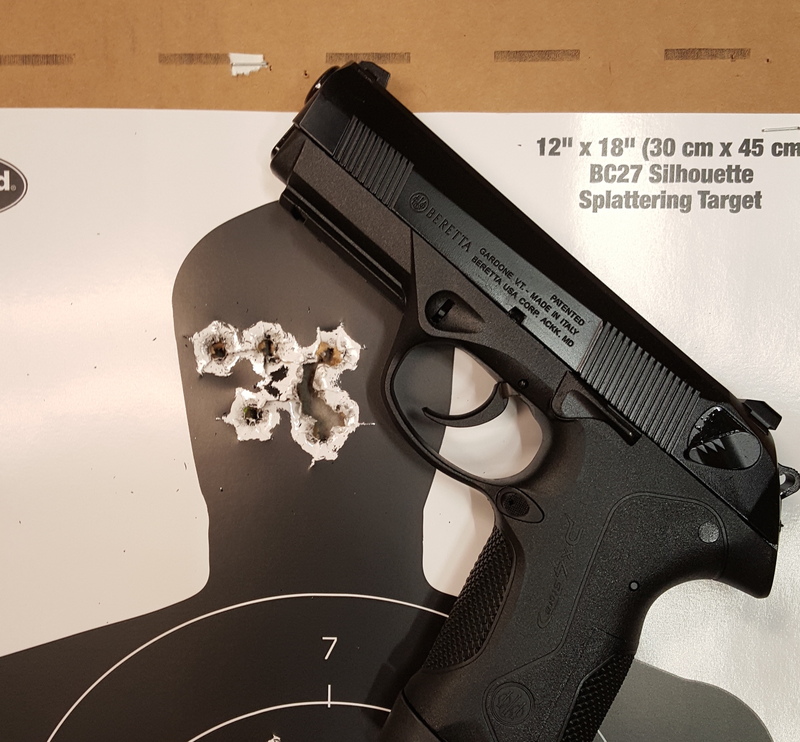 Now, I respect the XD’s and know they are all very good guns… but I’m not particularly fond of them. This one though… I like it. The XDM’s I think are a bit better and I like them more. If anyone out there are thinking of getting an M model… it is a good buy. Especially the long barreled versions if you are looking for an accurate, easy gun to shoot, with a lot of capacity. While I’m not going to line up to buy one… if any of The Horde does, it would be a good choice. Another SIG is in my brain. I keep coming back and looking at it, handling it… Yes, another 1911. Then I read a good review. I don’t know why, I am pretty much a Glock Guy now… I don’t need another 1911. 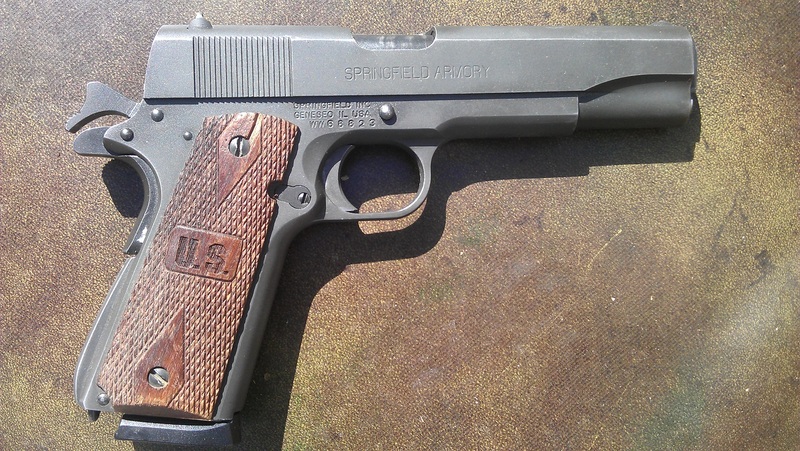 I don’t even want another 1911… but I want this 1911. Freak. Working at a Gun Store has a serious drawback. 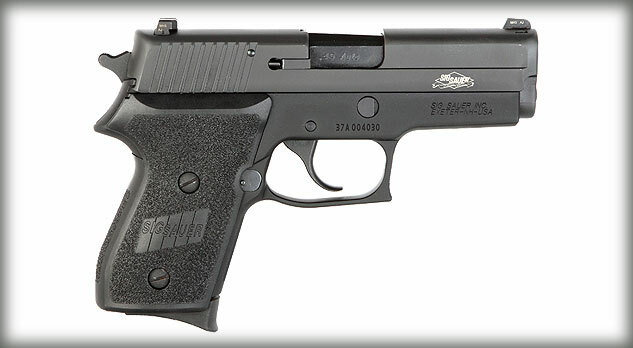 In all seriousness, I’ve always wanted a compact P220 and have never had one. 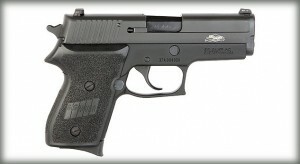 My respect for the P220 goes so far that I could almost forgo the companionship of 1911’s, in favor of the P220’s. I’ve had several full sized SIG P220’s. One was a duty weapon for me in Richmond, VA. Fantastic gun. However back then, compacts were just not around. If you wanted one and were flush with coin, there were a couple top level gunsmiths that could do a chop job and make you one. It was the stuff of dreams. Then there was the P245, a factory cut down. I don’t know the difference between the P245 and the P220 Compact, if there is any. But it’s still the gun I’ve always wanted and never had. Looking back at the Custom versions from gunsmiths… they featured melting and trigger work and all that. One I saw was about 2500 bucks into the work. And now here is a Compact, Melted/Dehorned, with an even better trigger… from the factory. Why do I not already have one already?